Phuket have become the hub for fitness travel. Wellness tourism is on the rise and Phuket is reaping the benefits. With new gyms, yoga retreats, detox centres and muay thai camps popping up left right and centre, there’s a reason why everyone is choosing Phuket as their fitness holiday destination. If you’re a yoga fan, our partner resort at Atmanjai offers daily yoga, from calming hatha yoga to more intense vinyasa flow yoga. Imagine waking up to sunrise yoga overlooking the sea, surrounded by palm trees and hearing the birds chirping. It’s the most blissful scene and is our favourite way to start the day. If you like things a bit steamy, go ahead and try the hot yoga here on the island…. They sure will make you break a sweat! If it’s Muay Thai you’re after, you’ll be spoilt for choice. Many new travellers in Phuket love to give Muay Thai a go, as it is the classic authentic sport here in Thailand. Probably the most well know Muay Thai camps are Tiger Muay Thai on Soi Taied, Sinbi Muay Thai in Rawai and Dragon Muay Thai in Chalong. The standard routine for many Muay Thai gyms, is two hours of training in the morning, usually 7.30am-9.30am, and another two hours of training in the afternoon 4pm-6pm. However Muay Thai can be a little too intense and aggressive for some. If you prefer doing your own thing and going at your own pace, there are plenty of gyms around for you to pop into and use. Naiharn gym is a popular one with all the equipment you could ever need. If you like to pump up the pace with HIIT training, you won’t be disappointed with the group classes at Unit-27 or Titan Fitness. These run as boot camp style classes, with some of the best trainers on the island. But we warned, these are not for the faint hearted. 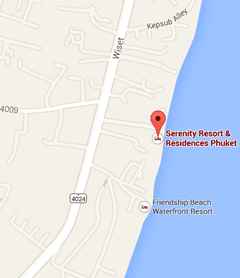 Lastly, Phuket is lucky enough to have the state of the art world class facilities at Thanyapura. Thanyapura is a popular place for athletes to come and train. With things like spinning classes, tennis courts and an olympic size swimming pool, it really is an athletes dream!